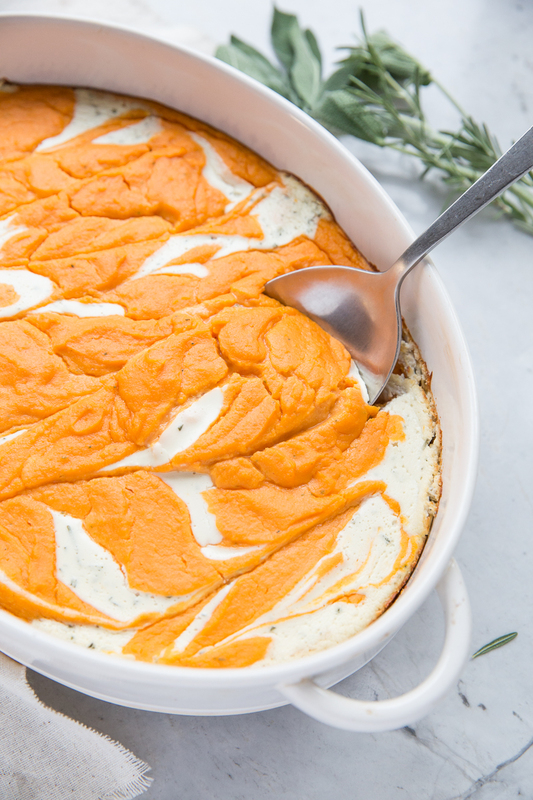 This Savory Sweet Potato Casserole is a big hit at any Thanksgiving. As much as I’m a fan of the sweet Sweet Potato Casserole that adorns every holiday table, I know there are some haters out there and others who would just rather save the sugar intake for a beloved slice of pie. Thus came my inspiration for this new favorite recipe. I don’t know about you but I’m all about the side dishes for Thanksgiving. I have several pages of Thanksgiving Side Dish Recipes and I have a Pinterest Board dedicated to Thanksgiving Inspiration. My plate will for sure be a picture of imbalance, a few small slices of turkey, overshadowed by several large scoops of all of the side dishes. Food aside, lets talk a little more about are hopes for the holidays. What are your expectations, hopes, and dreams for the holidays? Are you like me and oftentimes have expectations, even unknowingly, that somehow get crushed leading to disappointment. 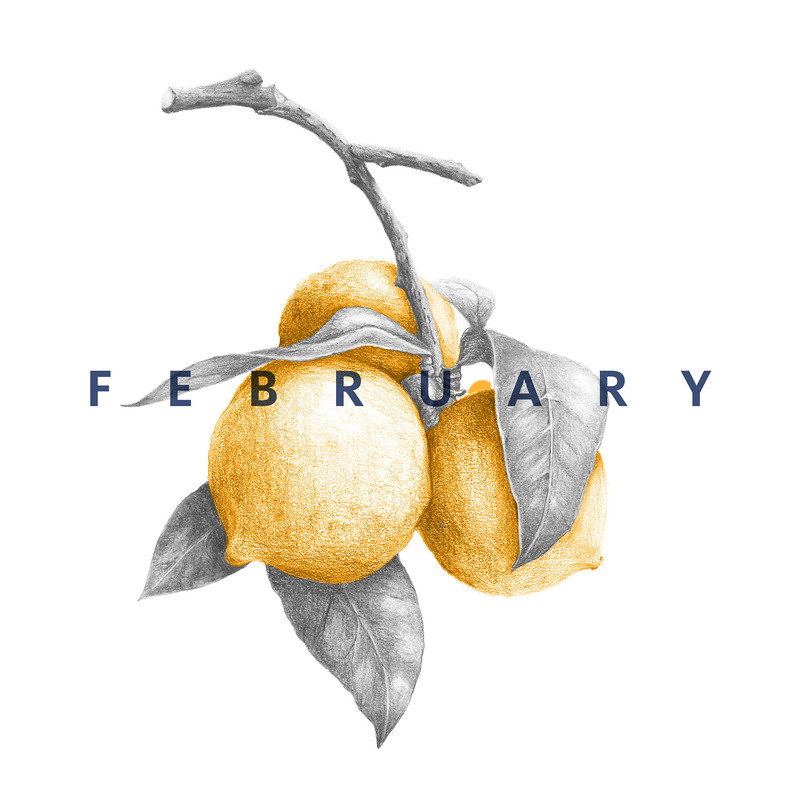 I’ve had to adjust over the years and free myself from any expectations so that holidays can be more filled with the unexpected joys, whimsical moments, and surprises. It’s good for me to take some intentional time at the beginning of the holiday season to clear my mind and make a short list of the things I want my holiday season to be about, other things to avoid, and plan plenty of time for the unexpected. For Thanksgiving this year, we’re joining our closest friends around our longest table and sharing a meal. I won’t be making the turkey; I won’t be hosting. I will be more free to hold my littlest one, the one who loves to pull at my ankles when I try and cook. I will be more able to listen to my 4 year old who always has so much to say. I hope to talk about gratitude through the week and exemplify it to my little family. I hope for peace instead of business, calm instead of hustle. And if a friend calls up for a park or coffee date I hope I’m available for a few unplanned adventures. 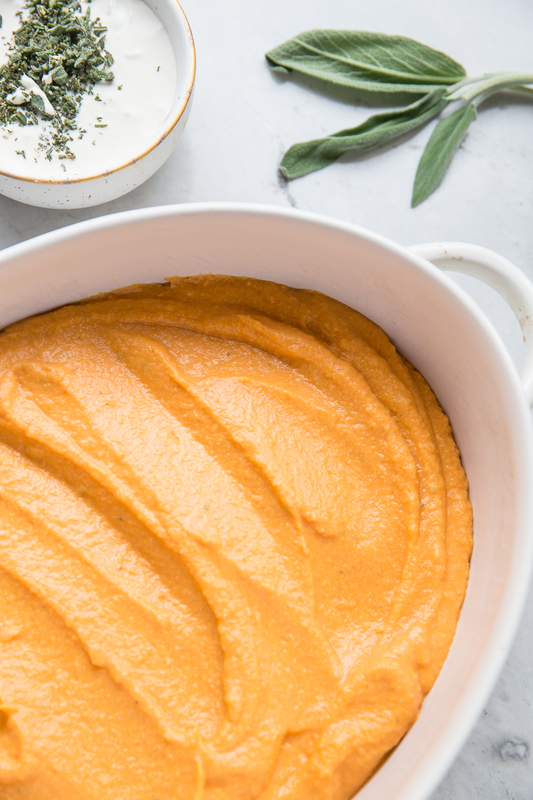 • There’s actually no sugar in this sweet potato casserole and it still tastes plenty sweet just naturally. • It’s also gluten free as I use almond flour instead of regular flour in the mix. If you don’t have almond flour on hand or if you’d rather use flour feel free to do so. It works great either way. • There are a few steps to the recipe but they can be done ahead of time. You can cook the potatoes and the shallots in advance then blend everything together the day you’re baking it off. 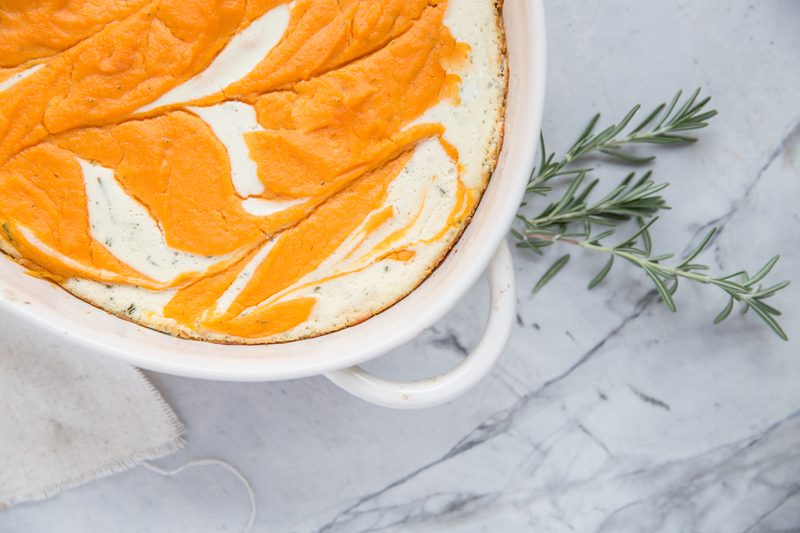 • This recipe comes from a spoon bread recipe so the consistency is somewhere in-between a creamy mashed potato and custard. 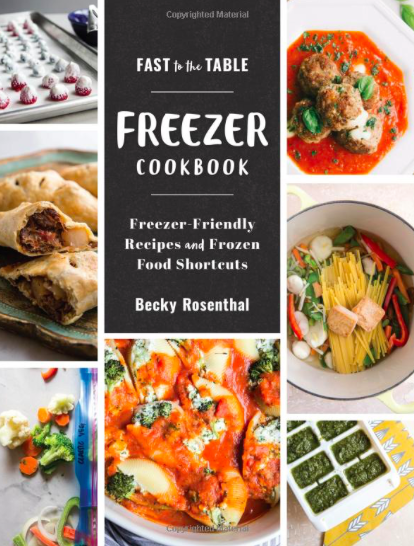 • As for the fresh herbs in this recipe I use a mixture of rosemary, sage, thyme and basil. Feel free to use whatever you have on hand with your other holiday cooking. May your holiday be not just as you hope, but better than you expect, with room for peace and surprise. This savory sweet potato casserole is always a hit for a holiday side dish. Meanwhile, mix almond four, baking powder, baking soda and salt with 3 tablespoons of hot water to form a paste. Set aside. In a medium skillet, melt butter then sauté shallots for 8 or so minutes, stirring occasionally. Stir in herbs and cook for 1-2 more minutes. Set aside. In a small bowl, use a small whisk to whip the goat cheese with water, and herbs until light. Preheat oven to 425 degrees and grease an 2 quart baking dish. Once sweet potatoes are done, scoop out the flesh into a high powered blender and add almond flour mix, eggs and shallot mixture. Puree until smooth. Spoon 2/3 of this into the prepared baking dish. Top the sweet potato mixture with dots of the goat cheese mix, then, spoon out the remaining sweet potato mixture on top. Tap the dish a few times on the counter to even out the potatoes in the baking dish. I like to take a knife and pull it through the casserole a few times to create little waves between the colors before baking. Bake for 30-35 minutes (or until cheese is starting to brown) at 425. Serve hot. 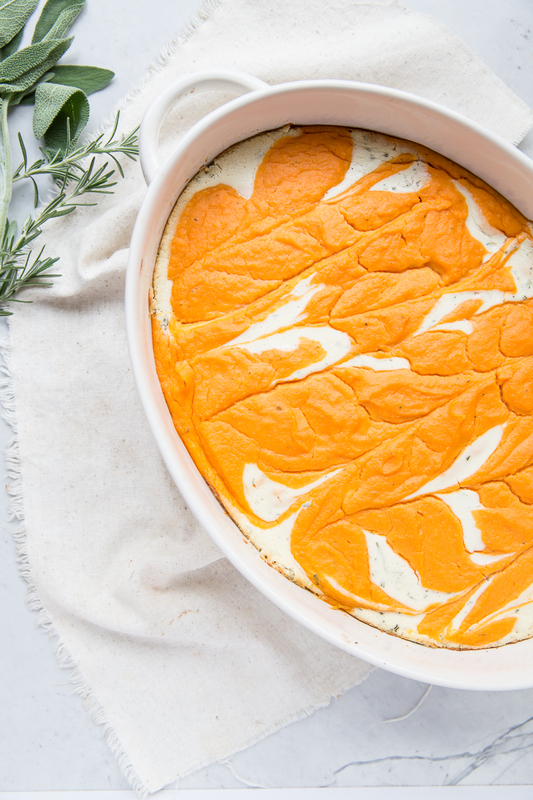 Sweet potatoes can be baked and cooled in advance so you can more quickly prep the rest of the casserole without having to wait for them to bake and cool enough too handle. Can this recipe be made ahead and warmed up before serving? This sounds amazing! My nephew will be over can’t have nuts. Would you use 3/4 cup of a gluten free flour blend? I have a really reliable one.